Spring has arrived in Stockholm – hooray! Well it sort of has. It’s actually forecast to snow this weekend which means all the winter coats I stored away at the first sight of sunshine, need to be dragged down from the attic once again. Bummer right? 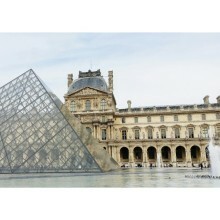 These transitional months between winter and spring are always challenging from a style point of view. You’re likely to boil if you wear head-to-toe thermals, but by the time you leave work it’s Baltic temperatures outdoors! 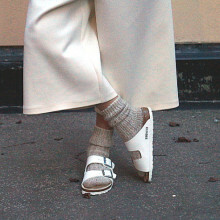 As it’s not quite time to bare my pasty toes just yet, I’ve decided to once again embrace the socks and sandals trend. Is that still a thing? I certainly think so. 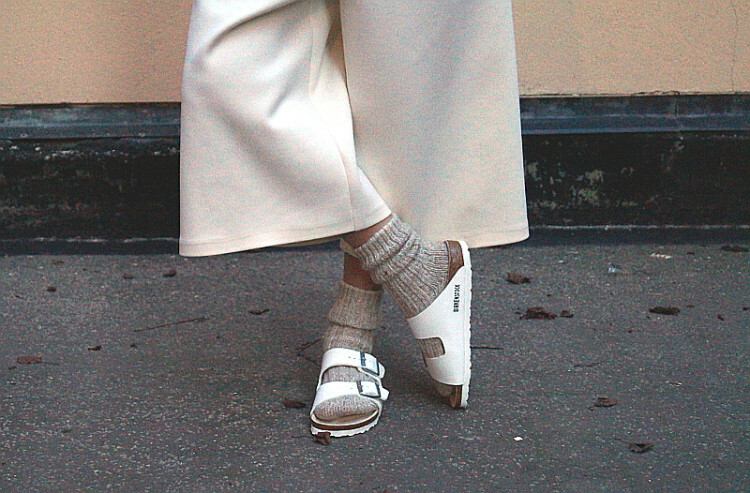 Yes, out comes the Birkenstocks (in white – this season’s must have colour) and layered beneath them are a pair of exceptionally cosy, wooly socks. 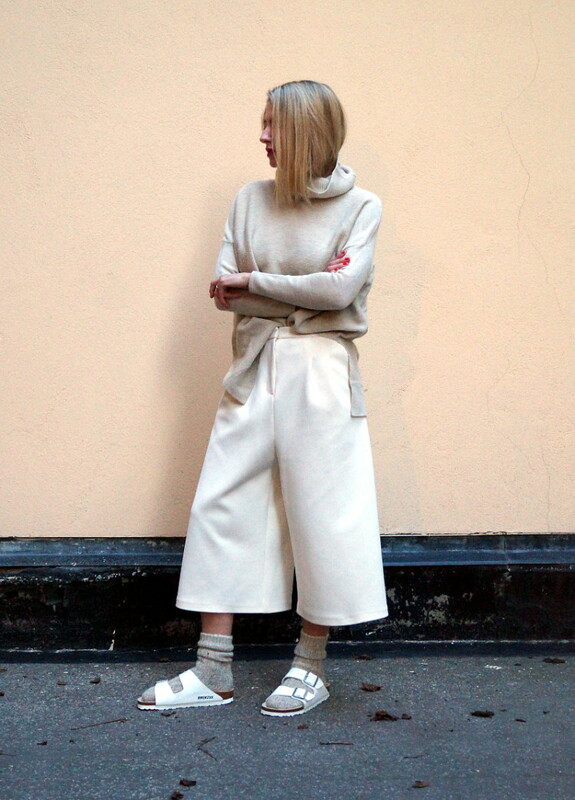 Of course white is not just the colour of choice for footwear, it will be forming the base of most of my spring/summer looks – offsetting it with biscuit and soft caramel tones, like I am today. What do you think? Am I peaking too soon? The Birkies are from John Lewis and wearing them feels like having my foot massaged all day! Love them.